Dr. Terry Rapacz grew up in Northeast Minneapolis, about 8 blocks from Apache Animal Hospital. He attended St. Charles grade school and De La Salle high school. Dr.Rapacz graduated from the University of Minnesota in 1965 with a degree in microbiology and in 1969 with his degree in veterinary medicine. Dr. Rapacz married his wife, Carol, between his junior and senior years of veterinary school. After graduation, he practiced in Madison, WI for a year then moved to California and practiced there for 4 years. After returning to Minneapolis, he worked as a Relief Veterinarian for 12 years, during which time he started the first emergency veterinary service which grew into the Affiliated Emergency Veterinary Service. Dr. Rapacz became a partner at Apache in 1989 and after Dr. Hilgren retired in 1994, he became the sole owner. In 2002, he expanded the hospital and also added boarding and grooming services. He currently works part-time as he looks toward retirement. Dr. Cleary graduated from the University of Minnesota, College of Veterinary Medicine in 1996. She is married and has 2 daughters plus a menagerie of pets including: Pickle, a Quaker parakeet; Abbikadabbi, a guinea pig; Gesundheit (Guzy) an orange tabby cat; and Cupcake a yellow lab. Dr. Sean Ross has been a member of the Apache Animal Hospital team since March 2019. He is originally from New York, where he graduated from The State University of New York College at Geneseo with a Bachelor’s Degree in Biology. Knowing that helping animals was his true passion, he moved to St. Paul in 2012 to continue his education at the University of Minnesota, where he received his Doctorate in Veterinary Medicine in 2016. Dr. Ross’s clinical interests include preventative care, radiology, and internal medicine. While he loves working with all of his furry patients, he also enjoys being part of the community and getting to know each and every one of his clients on a personal level as well. When not practicing medicine, Dr. Ross can be found in his yard playing with his one and a half cats, Richard Parker and Achmed, trying all of the awesome restaurants and breweries the Twin Cities has to offer, and participating in any sport or physical activity—he was the captain of the varsity wrestling team in high school, and played rugby in college. He also enjoys working on his car and keeping in touch with his friends and family back east– including his identical twin brother, who is also a veterinarian! Dr. Ross truly enjoys being a part of the team at Apache Animal Hospital and looks forward to working with all of our clients with the ultimate goal of making animals healthy again and strengthening the human-animal bond. Brenda has worked at Apache Animal Hospital off and on since 1989 when she was hired by Dr. Jerry Hilgren, the original owner of Apache, as a Veterinary Assistant. In 1995, Brenda became the Practice Manager and she worked closely with Dr. Rapacz during the design and building of the new Apache Animal Hospital that opened in 2002. In 2006, she got married and moved to Wisconsin. Brenda returned as the Practice Manager of Apache in March 2013, however, finding that the commute isn't too long when you work at such a great facility with such wonderful people! In 2017, when her daughter Paige went off to college, Brenda moved to White Bear Lake with her husband, Tim; their cat Mr. Kitty and their black Goldendoodle, Filbert; Hazlenut, an Italian Greyhound mix and their newest addition, Cashew a Golden Retriever. Tanya graduated from Globe College in 1998 with her A.A.S degree. She joined the Apache Animal Hospital team in October 2013. Tanya lives in Fridley with her husband, Jon; two sons Zach and Jake; three cats Frankie, Gracie and Halo, and their dog Sully. Sully was found by the St. Anthony police, and after his owners couldn't be located, Tanya and her family adopted him! In her spare time, Tanya enjoys playing outside with her boys, softball and watching movies. Tianna graduated from MInnesota School of Business with an Associates of Veterinary Technology in December 2013. She became a Certified Veterinary Technician in March 2014. She lives in Robbinsdale with her fiancé and three cats, Spirit , Baymax & Myrtle, and also a guinea pig named Wilbur. She loves to be outdoors, spending time with family, friends and animals. Molly graduated from a Veterinary Technician school located in Florida in 2013, and then moved to MN in May that same year. She enjoys playing soccer on a co-ed team all year. She also enjoys playing broom ball during the winter months, scuba diving when she travels, and country music. She has one dog named Stanley, who is a 10 year old Schnoodle. Shelby graduated with her AAS degree from Argosy University in October, 2013. She started working at Apache at the end of April, 2015. She lives in St.Paul with her fiancé Chase. They have two senior tabby cats, Tigger (15), and Binx (11) and two orange tabbies, Frankie and Ernie. They also have an American Esskimo named Shilah, and their energetic yellow lab named Ducky, who turns two in December 2015. When Shelby is not working, she enjoys playing softball, soccer, and going to the dog park. With five years of experience working in animal boarding and assisting, Aimee joined our team in 2018 as Veterinary Assistant. 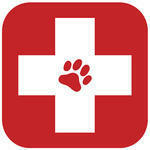 She loves caring for all of our patients, as well as helping their humans navigate the many facets of their pets’ care. In 2015, Aimee earned her certification in small animal massage from Bancroft School of Massage Therapy, and shortly after, launched her mobile business, Little Bear Animal Massage. In 2016, Aimee was asked to join the Operations Committee for Peaceful Passing for Pets, developing the Complementary Therapies curriculum for Care Coordinators. She is a member of the Minnesota Veterinary Medical Reserve Corps, and is currently studying animal behavior and training with a focus on cooperative care. In her spare time, Aimee loves the outdoors, and enjoys an eclectic taste in music and food. She lives on the Westside (of Saint Paul) with her partner and a busy Husky-Shepherd, a goofy Chessie-Shepherd, a gorgeous corn snake, a lover-boy kitty and their youngest, a judge-y female cat. Erin grew up in Grand Rapids, Minnesota. She went to college at Minnesota State University-Mankato, and graduated in 2018 with a Bachelor's of Science in Biology with an emphasis in Zoology. She has recently applied to veterinary school at the University of Minnesota and hopes to become a small practice DVM someday. She currently lives in Minneapolis with three of her high school friends and her crazy cat Jack-Jack. In her spare time she likes running, horse-back riding, hunting and fishing. Kiki was born and raised in NE Minneapolis and moved back to the area about 4 years ago. She has 3 daughters, two grown and one still at home. She also shares her home with three dogs, Odie and Barly and Carly, and a cat, Klaus, that wandered into their lives a couple years ago. Besides working at Apache Animal Hospital, she is also a professional photographer, specializing in newborns and pets. At Apache she is known as the bug saver as well as the person most likely to find and rescue, any animal in need! Her biggest dream would be to win the lottery, move to the ocean, and open the biggest animal sanctuary in the world. Samantha graduated in 2008 from Argosy with an A.A.S. in Veterinary Technology. She joined Apache in March 2018. She lives in Wyoming, MN with her husband Luke, son Jaxon and daughter Belle. They have two cats, Oliver and Sawyer. When she’s not chasing her kids around, she likes reading and going to Hanson concerts when they are in town.